Are you looking for a way to update your flooring without spending a lot of money? 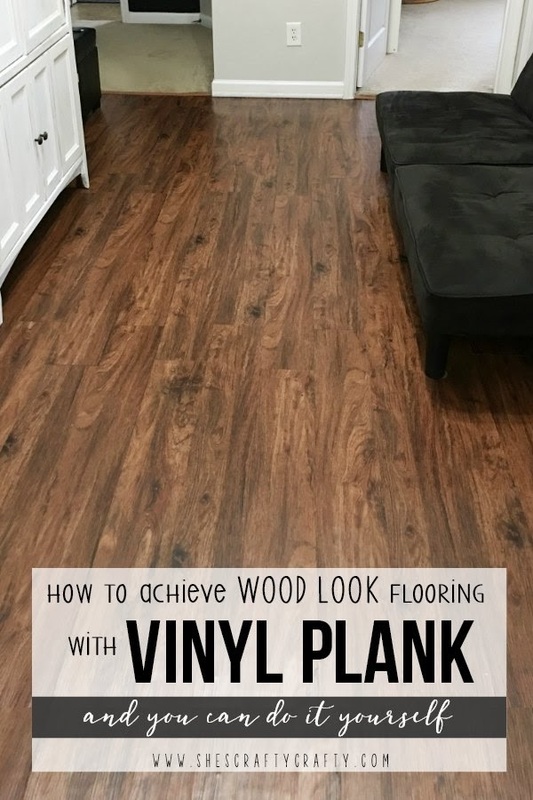 Wood Look Vinyl Plank Flooring is the perfect flooring option and you can do it yourself! In our home, we have a narrow room in between our kids bedrooms that we made a craft room and playroom. After years of doing crafts and playing on that carpet, it really needed to be replaced. I didn't want to put more carpet down because I wanted a floor that was easier to clean. I also didn't have a big budget for flooring, so I knew this was something I was going to need to DIY. I did a bunch of research, asked the guys in the home improvement stores a ton of questions and finally decided to lay vinyl plank flooring. I removed the gross carpet and carpet tacks, then swept several times, vacuumed and then swept again. Then I was ready to lay the floors. I took some measurements, plugged them into a flooring calculator, and purchased supplies. I was able to lay these floors by myself in a weekend. We had to keep the carpet in the bedrooms so I used metal transitions between the vinyl and the carpet. It's not a perfect match color wise, but it looks pretty good in person. 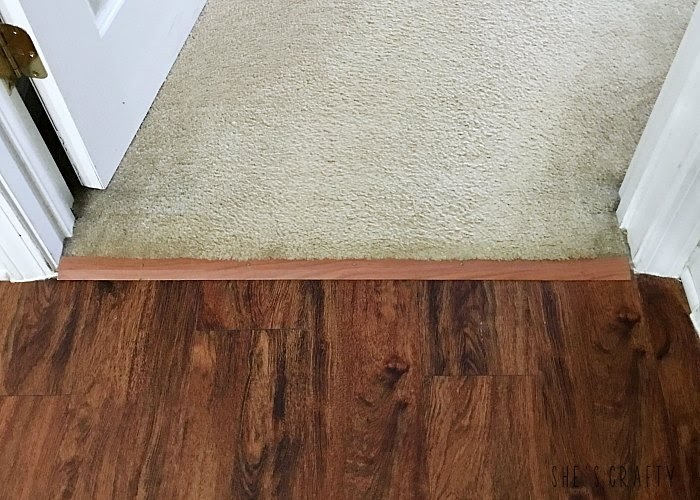 I cut it to size with a hack saw, then pounded the included nails through the holes into the floor below, making sure to get the edge of the carpet. I am thrilled with how these floors turned out! The tiles have a texture to them so they feel like real wood. The vinyl has not pulled up at all even with sliding furniture around on them. It's really hard to believe that this is vinyl flooring that I PUT IN MYSELF, without a lot of skills. If I can figure out how to do it on my own, then it's possible for anyone to do. The vinyl has been very durable and held up to the wear and tear of a busy room!! I wish I would have done this a long time ago. The best part, the entire thing only cost a little more than $200. Amazing!! Ahhh this looks BETTER than great! It looks amazing!!! I want to do this! It looks AWESOME! Is this the room upstairs that used to be your playroom? It looks fantastic!! It looks great and is perfect for a craft room! Looks sooooo good! We did our own floors too..such a difference! How pretty! I'll have to check vinyl out next time I'm at Lowe's. Thanks for sharing! It really looks nice and great. 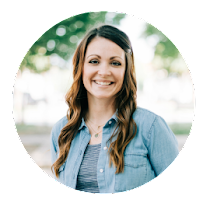 I a came across your blog while searching for photos of hardwood patterned vinyl flooring. How have they held up? We are thinking of putting it down in our living room and kitchen. It's great I found your blog. The floor are looking good! Thanks for sharing. I am also in love with your flooring, i don't have wooden floors in my home but i am planning to get it, do you know any good place from where i can get such kind of floors inexpensively. I am guessing that with the vinyl flooring in Halifax is half time and half luck. Thanks for sharing. I have been looking for articles about this. I am loving what you have here. I bet my wife would love it too. We want to get vinyl flooring in Toronto. Any suggestions? I'm so happy to find your blog. We purchased the same flooring from Lowes and I can't wait to get it done. 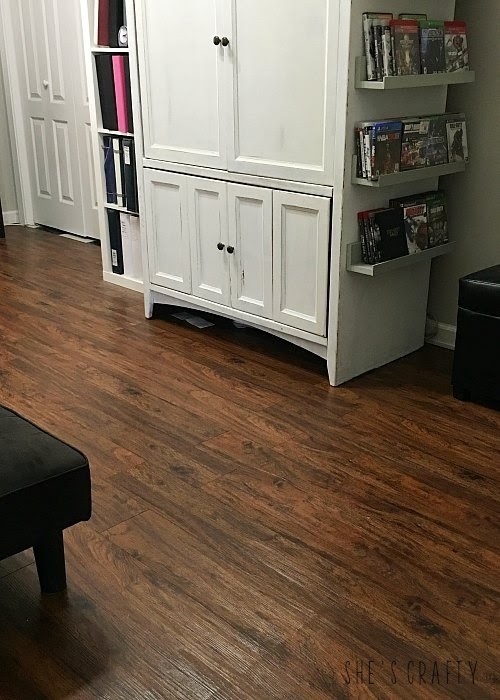 Your craft room looks beautiful with the new floor..
Great post here. I am wanting to put some vinyl flooring in Vancouver BC in my home. Thanks for this. Thanks for sharing. I would really love to find some vinyl flooring in Vancouver, BC. I can't wait! This looks incredible. We recently put in some vinyl flooring in Vancouver and it doesn't look nearly as good as what you have done. Congratulations on a great looking floor. You've got some real talent. My wife and I will be putting in some vinyl flooring in our Vancouver home. This helps us to know what we are doing ahead of time. 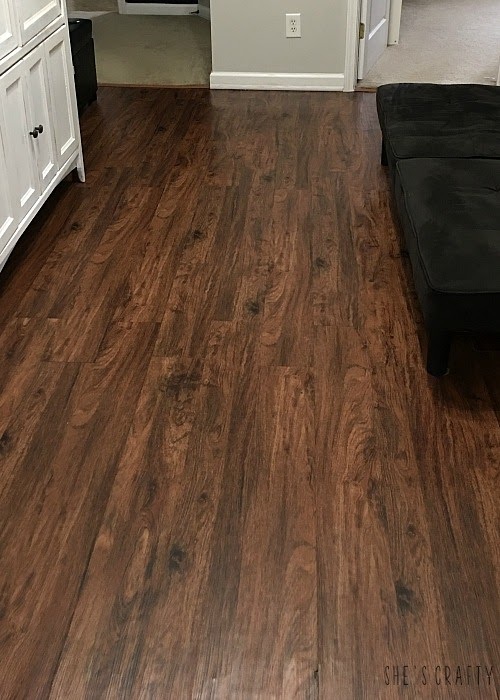 I spent the weekend installing vinyl plank flooring in my kitchen. It's FABULOUS! That looks amazing, and your curtains are so adorable! 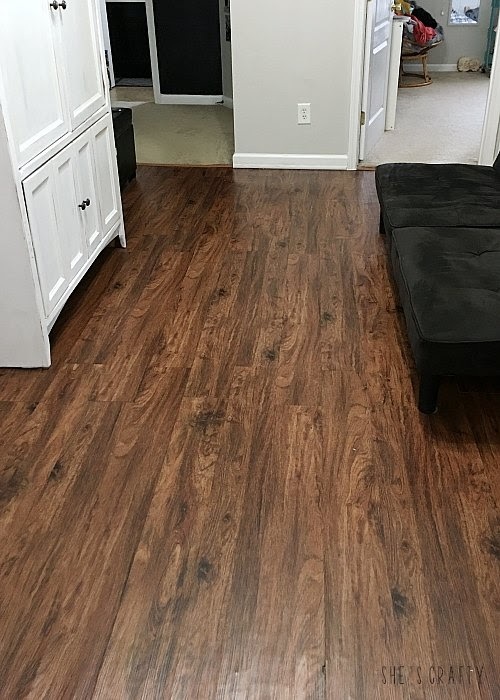 I was just going to get wood floor, but vinyl flooring is genius. I will definitely be looking for a company that does vinyl flooring in Calgary. This is great! My sister did the same thing when she first moved into her home. She pulled up the old, nasty carpet, and then went to work installing the vinyl flooring from Vancouver with the rest of my family. It didn't cost that much, and we really liked the end result. Thanks for putting up your experience of DIY. I just laid these down in my master bathroom! But we have a walnut trim and I feel as if they clash bad. My plan is to paint my walls proper gray by Sherwin Williams. Call you tell me what color you used? It looks great with the white moulding! This looks so good! I want to get some vinyl flooring in Vancouver, BC so I can re-do my craft room too!! Looking at those photos I would never have guessed that wasn't wood. I can't help but think of the mustard yellow and pea green vinyl flooring in my grandma's kitchen. You're right in saying vinyl really has come a long way. This looks fantastic! I'm actually kind of surprised at how good that floor looks. I wouldn't have guessed that it was vinyl and not wood! I was thinking about getting wood floors in a few rooms in my home, but this looks like it might work better for me. nice post, these tips you post really helpful for everyone. I am tired of my dingy linoleum. I am planning on tearing it out in favor of vinyl floors. What are the best ways to care for vinyl flooring? Your floors are beautiful. What color floor is it? I think the tiles are Cherry color. Lowes still sells them. HTH!